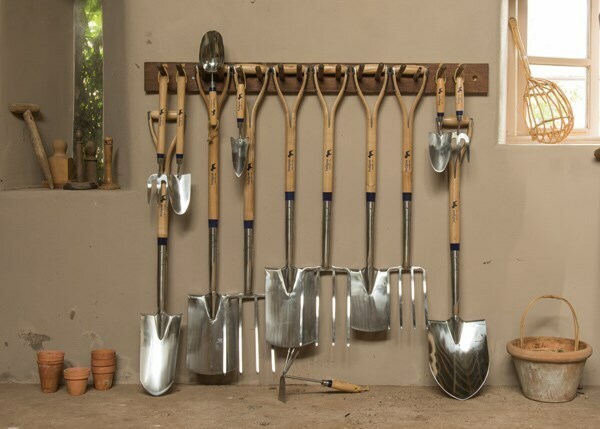 This attractive long-handled spade is ideal for the taller gardener, or anyone seeking a little extra leverage when working in heavy or root-laden soil. Lightweight with a wide blade for quicker and easier digging, the spade is perfect for preparing beds, borders and veg plots, as well as breaking up and aerating larger areas of unprepared ground. The stainless steel blade has a textured tread plate to protect boots and give you a better grip when digging, especially in wet conditions, and the smooth polished surface is easy to wipe clean after use. The spade is fitted with a shock-resistant FSC-certified ash shaft, fastened with a double-riveted strapped socket for extra strength, and has been stress tested to exceed British Standard BS3388.